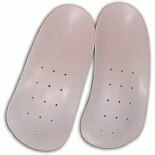 Shop Koolatron Komfort Orthotic Insoles Men's 11-11.5 (2 ea. )2 ea. Shop Koolatron Komfort Orthotic Insoles Men's 9-9.5 (2 ea. )2 ea. Shop Koolatron Komfort Orthotic Insoles Women's 6-6.5 (2 ea. )2 ea. Shop Koolatron Komfort Orthotic Insoles Women's 5-5.5 (2 ea. )2 ea. Shop Koolatron Komfort Orthotic Insoles Men's 7-7.5 (2 ea. )2 ea. Shop Koolatron Komfort Orthotic Insoles Men's 10-10.5 (2 ea. )2 ea. Shop Koolatron Komfort Orthotic Insoles Men's 8-8.5 (2 ea. )2 ea. Shop Koolatron Komfort Orthotic Insoles Men's 6-6.5 (2 ea. )2 ea.